Byzantium is rather glibly associated with the Near East, though a few obligatory references to North Africa often salt academic monographs in hat-tips to its claims on universality. But one of Constantinople’s key satellites in Africa usually falls off the radar: Ethiopia (in Greek, the land of the “burned faces”) otherwise known as ancient Abyssinia, the “mixed” land in Arabic. This is doubtless because the Ethiopians (known variously as “Macrobioi”, “Homerites” or “Indians” to Byzantines) were never defeated in battle like the country’s northern neighbours (the Blemmyes), nor bought off by the metropolis. Instead, they chose to import the superpower’s cultural cargo. The result ensures that the nation’s Byzantine DNA still surprises historians today in the manner it might astound future chroniclers if they found that the Japanese ruling classes had sustained the norms of the British upper classes far more faithfully than those on the British Isles. Not that Byzantium is the only ingredient in the pot. Inspired by their Judaic South Arabian heritage (imposed when Sabaeans settled among indigenous Cushites c. 1000 BC), the Abyssinians have always proudly declared their descent from the Queen of Sheba (or “Makeda” in the local tongue). The Bible’s first book of Kings and second book of Chronicles both describe how the “Queen of the South”, lured by Solomon’s fame, journeyed to Jerusalem with a great train of costly presents and went on to produce a son, Menelik, who, returning from his father, brought back the stolen Ark of the Covenant; somehow managing to break the fifth, eighth and tenth commandments in one fell swoop. Sheba or “Saba” was the name of a kingdom (one among many, such as Himyar and Qataban) in modern-day Yemen. One of its queens (“Bilqis” to the Arabs) may or may not have visited Jerusalem in Old Testament times (many historians believe it to be an anachronistic set piece intended to “legitimise the participation of Judah in the lucrative Arabian trade” according to I. Finkelstein), but the story colonised the land quicker than its people, who were still hemmed into the northern extremity of the Ethiopian plateau centuries after invading. This providential turn was raised to even greater heights when the king left behind an infant son and Frumentius was proclaimed regent. Drawing Ethiopia into a Roman sphere of influence by the time-hallowed method of religious diplomacy, Frumentius visited Patriarch Athanasius in Alexandria (covering a distance that usually took 40 days) to request a bishop for the Kingdom of Axum that had somehow fallen into his lap. The Patriarch swiftly ordained the ruler, giving him a bishopric, which had the effect of converting him into an Ethiopian apostle: “Abba Salama” (Father of Peace). The irony was that the reverse occurred. As the Roman state struck an orthodox formula at Chalcedon (AD 451), Egypt (of which the Ethiopian Church effectively formed an appendage) fell under the spell of Monophysitism – and took the Ethiopian Church (known as Tewahedo or “one-ness” in reference to their Christology) with it, in a dependency that was not terminated until 1959 when the Church elevated to the status of Patriarchate. This attenuated position was confirmed by the arrival of the “Nine Saints” at the end of the fifth century. Learned Syrians expelled from their homeland for failing to conform to Chalcedon, they sought refuge in East Africa, bringing monasticism with them in the process. Following the rule of St Pachomios, the holy men were some of the first to translate Greek scriptures into Ghe’ez, which effectively formed the Latin of the country. Not that everybody was satisfied with being part of the Byzantine oikoumene. Lesser rulers, according to the Chronicle of John of Nikiu, opportunistically bypassed Axum’s hierarchy and sent embassies west, to Honorius Augustus, in order to request their own bishop. Monophysite or not, as wars between Byzantines and Sassanid empires raged hold and cold, Axumite rulers proved unafraid, first, to adopt Roman designs (probably copying the “Hoc Signo Victor Eris” issues of Constans II, Vetranius and Constantius) on their bronze coinage. And, second, to protect the flock of their new-found faith as the middle men of a devolved frontier (mirroring events to the north-east where the Limes Arabicus was transferred to the Ghassanids). Indeed, when news reached King Andas’ court that the Roman Emperor desired a punitive expedition against Yemenites who’d massacred Roman merchants, he immediately undertook an invasion. Though the realpolitik that lurked behind casus belli like these probably reflected Constantinople’s desire to regain control of the Red Sea route in order to avoid being charged exorbitant prices by Sassanians in Mesopotamia for India’s luxury goods rather than any real zeal for equitable treatment. The entreaty was clearly successful as King Kaleb launched a campaign in AD 525 (with the aid of a Roman fleet, mainly composed of requisitioned merchantmen) that led to the temporary re-establishment of Abyssinian rule in the Yemen (though the puppet-king would eventually be toppled by an Ethiopian general, a former Roman slave known as Abraha according to Prokopios). “The Aethopians slept near a thousand years, forgetful of the world by whom they were forgotten”. Instead, struggles closer to home engulfed Axum. As apocalyptic scenarios and eschatological nightmares of a distinctively Byzantine flavour swirled around the Near East, Ethiopia kept up its fair share of hot air with contradictory stories (that later found themselves trickling into the national epic, the Kebra Negast) circulating that Kaleb had either abdicated and sent his crown to the Holy Sepulchre in Jerusalem or, alternatively, had met the Emperor Justin in the city and agreed to share power, mirroring the symbolism of Psalm 68:31: “Ethiopia will hand over the hand [dominion] to God”. In reality, there were no dramatic abdications or power-sharing arrangements and few grand strategies (other than the Egyptian strangulation of the Red Sea with ‘Amr Ibn al’As’ redredging of the Trajan’s 120-mile Canal). Instead, a slow dwindling of the India trade asphyxiated the economy until a final blow was dealt by the female chieftain Gudit (AKA Judith). Overthrowing the last king and all his sons (fl. AD 960), Gudit also attempted to eradicate Christianity. Abandoning Axum, she transferred the seat of government to her powerbase deep in her native Agau country (where the sixth-century Byzantine explorer Cosmas Indicopleustes noted one of the world’s biggest gold trade routes passed through), whose people had been dominant before the rise of Axum. Ostensibly a disaster, a silver lining appeared when, in flipping the ethnic power-equation, the Agau unwittingly formed a new alloy; a more united Ethiopia. What’s more, Christianity survived the assault, and the wary respect of downstream Muslims was won by playing up to Egyptian superstitions, which framed the kings of Abyssinia as protectors of the Blue Nile source – men who needed propitiating if the region did not want trouble. Contra Gibbons, as a sorting house for Copts fleeing intermittent persecution and a pilgrim-factory to Jerusalem (a fact well attested in Acts 8:27), Ethiopia was hardly confined to the shadows. This is confirmed by numerous events from 1189 (when Saladin allotted the Chapel of the Invention of the Holy Cross at the Holy Sepulchre to the Abyssinians) to 1431-49 when an Ethiopian delegation was sent to the Council of Florence. The country was admittedly more on the defensive as Muslims became neighbouring states rather than distant foes. And new emperors (Zar’a Yaqob, for instance) rather desperately felt pressured to style themselves a new “Constantine” every time a victory could be claimed. Eventually the Muslim menace became too much and the Empress Helena applied to Portugal for aid. The Portuguese didn’t need much encouragement. Already battling Ottomans in the Red Sea and trying to identify the legendary kingdom of Prester John, they were already lurching for any potential allies. 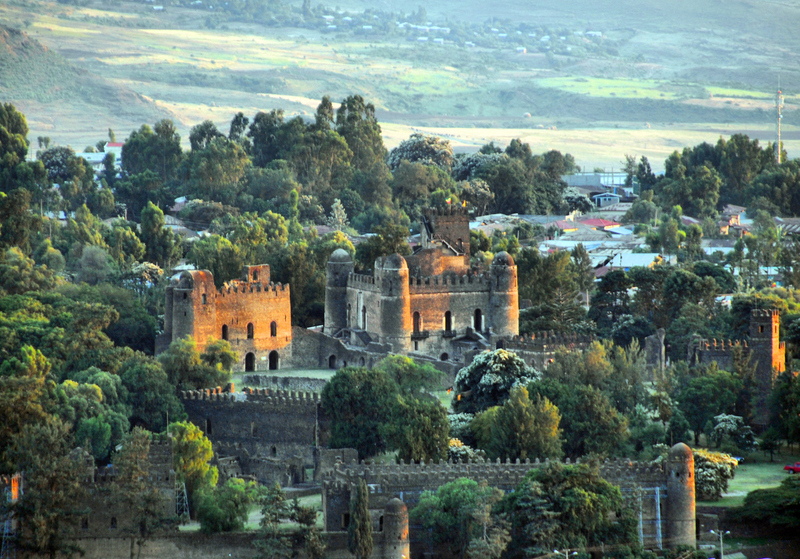 After a delay, an embassy reached Ethiopia in 1526. It was not a moment too soon. Within two years, the second of the country’s most famous nemeses arrived on stage: Imam Ahmad ibn Ibrahim al-Ghazi, usually shortened to “Gran” (the left-handed). Welding several nomadic groups (including Somalis) and arming them with Ottoman guns, Gran overran the country. Almost all was lost before a Portuguese force under da Gama belatedly arrived in 1541. Defeating Gran east of Lake Tana a year later, most of the Iberians subsequently assimilated into the local population. The next breaker was more a tsunami than a wave. Consisting of Oromo (called “Galla” in Chronicles though that’s considered pejorative today), in nature the invasion was more volkswaderung than military aggression. But the results were similar. Flooding the plateau (even today they represent roughly 35 per cent of the population), the Ethiopians proper (Amharans and Tigreans) hastily erected a status quo in which they occupied the highlands, consolidating their losses by building giant headquarters such as Gorgora and Gondar near Lake Tana. These citadels were not without their issues, however. Centralisation formed the exception not the rule to Ethiopian history, and increasing efforts to bring folk into urban environments caused new problems – including delusions of control. When Susenyos converted to the Catholic faith, for instance, he should have known that he could never have hoped to impose it on his population. Instead, deep in cups of hubris, the people revolted, forcing his abdication, the election of his son (Fasilidas) and a violent counter-revolution that killed and expelled countless Catholics. Historical threats aside, Ethiopian culture has been kept intact by a natural and pious conservatism. Even today, many don the traditional shamma (toga), the outer garment of both sexes. Observing the wheel of the seasons in festivals that involve dabtara-orchestrated dancing around a tabot (replica Art of the Covenant), some of the most important commemorate the finding of the True Cross by Helena and the Transfiguration of the Mary. One of the greatest ballasts in society, godfathers in Ethiopia have not yet devolved into the token-ish benefactors that bedevil the West. Instead, they act as confessors and fathers to souls, prescribing both awards and punishments to their charges (like the gerontes of Greek monasticism). Present at baptisms, when priests tie the short matebs (neck-cords) from which crosses are hung, they choose Christian names for infants (taken from the passage of the synaxarium for that day) before they are taken to have their first and usually last Divine Liturgy (as only priests and a handful of others i.e. those married “by the Eucharist” may partake of the sacrament after baptism). Alongside, positives like the mahabbar (literally “love feasts” i.e. brother or sisterhoods that seek to encourage virtues and suppress sins), evils also stem from Ethiopia’s fidelity to its traditions. Most obviously in the persistence of child marriages, which (despite being outlawed) still claim victims in over 40 per cent of the population (UNICEF). Secondly, in the prevalence of domestic violence, with the two social ills often combining to create a high divorce rate (c. 50 per cent). And, thirdly, with a high rate of male circumcision (thanks to the observance of many Judaic customs such as a double-sabbath) comes its female equivalent with roughly 65 per cent of women suffering the ordeal. Other customs are more affecting. In death, for instance, a long period of mourning follows that involves dying a household’s clothes one colour (any but white), shaving off the hair and breaking out into a prolonged wail (that neighbours often feel obliged to join), which is reminiscent of keening in Ireland or the moirologia that accompanies the klama in Greece. These tazkar (commemorations) can happen several times over the years, imposing none of the finality that its western equivalent seeks. Alongside the largely honorific role of the Abuna, the brunt of Church work (there is no real welfare state to speak of) is headed up by the Etcheghe (administrative head) of the Church. Usually the abbot of Debra Libanos, only the Nebura’ed (the ecclesiastical head of Axum) competes in honour and authority. Its indigenous monasticism is split into two schools: Tekla Haymanot and Ewostatewos. The latter preferring to respect the Judaic customs concerning the Sabbath and impurity laws; the former being famous mainly for bringing Christianity to Shoa in the south, and being depicted with six wings (because, towards the end of his life, he ignored his leg falling off mid-prayer). The ascetic feats of both schools have only one (very Byzantine) real rival in the holy stakes: the bahtawi or anchorites (see a contemporary example here) who take Shimei’s scorning of King David (2 Samuel 16:5-13) as their model. Perhaps the deepest Byzantine seam within Ethiopian society, however, pertains to law. While the Fetha Nagast (Law of the Kings) may have been supplanted by the 1960 Civil Code, the latter still takes its cultural cues from the former and justifies its existence as an evolution, a flowering of its predecessor. 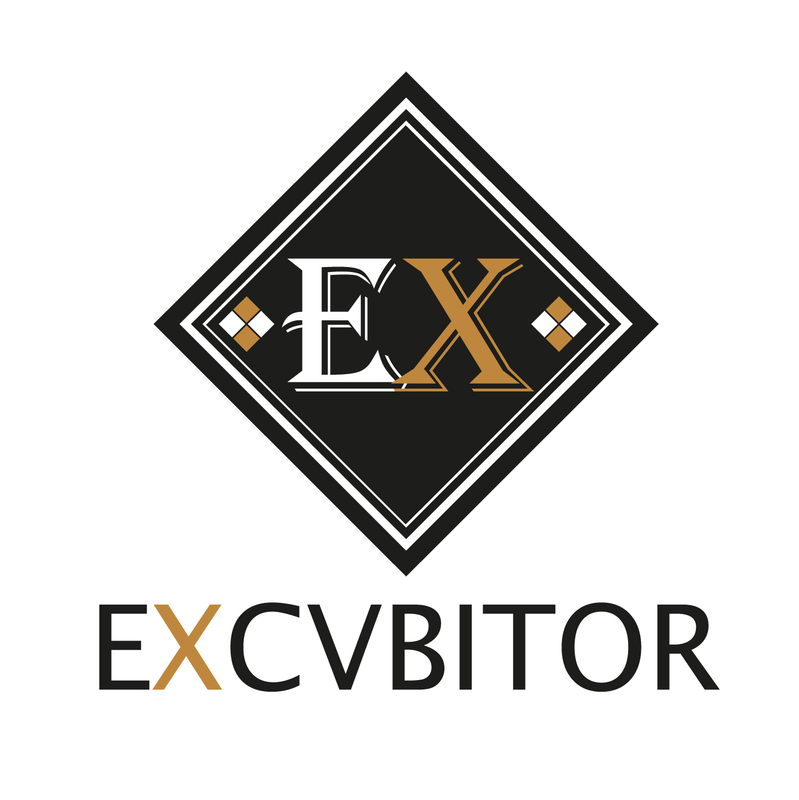 Compiled in the 13th century from Byzantine law codes such as the Prochiron and Ecloga, its Roman law had already been in effect for centuries when it was first promulgated. Despite this, it’s not always clear that Byzantium is a major part of Ethiopia’s inheritance when visitors stroll around the country. This is mainly due to the fact that much of its monumental architecture harks back to much older, South Arabian forms. A glance at the Great Temple of Yeha (devoted to Almaquah, the moon god), for instance, shows a crepidoma and massive rectangular cella. And later churches echo this heavily trabeated, oblong style, with domes adopting a cosmetic rather than structural role. Look inside these churches, however, and the glow of Byzantium returns. The simple basilicas contain diptychs and wall-paintings that all derive from Byzantine prototypes. 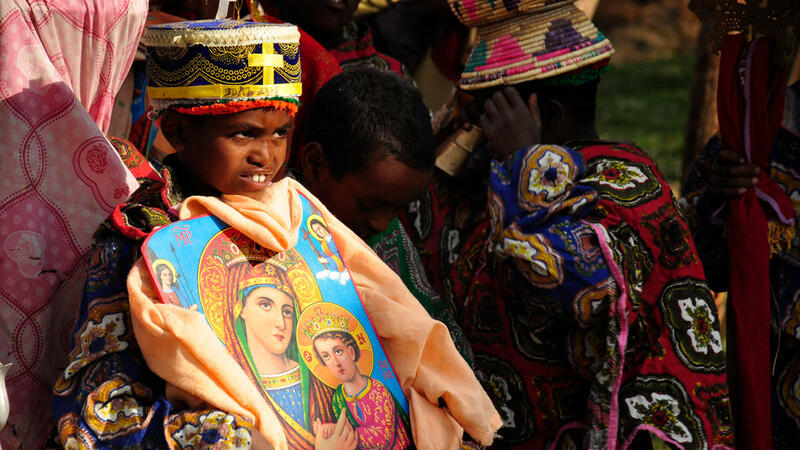 But while most Christian regions (like the Celtic and Carolingian traditions) experienced an identical confluence in the early Byzantine period before diverging, Ethiopia keeps reinventing, discerning and developing the same eternal motifs. With joyful zoological elements, comically disproportionate aspects (like almond eyes, cartoonish heads or giant hands that draw attention to miracles, incidents or holiness) and quirks such as the presentation of the Trinity as three identical old men or angel-wings bent outrageously to form a canopy over Jesus’ baptism, Ethiopian ecclesiastical art is highly distinctive. Perhaps the Coptic or Mozarabic schools form its closest brethren but it’s a loose connection. Ethiopia’s literature keeps in lockstep with art’s hallowing of the eternal too. The Old Testament was translated from the Septuagint and the New was translated from a Greek text that came from the Patriarchate of Antioch. Both testaments later being synthesised with popular Coptic books. In the process, Ethiopia took on a lot of material rejected as non-canonical in the West. These include the Book of Jubilees, the Apocalypse of Esdra, the Ascension of Isaiah, the Book of Enoch and polemical theological works like the Qerlos (a compendium of patristic texts on Christology that argued against the errors of Nestorianism). The inclusion of these is ascribed to credulity but, in reality, probably stems from a deep respect for the nation’s Solomonic heritage – real or imagined. Over time, churches became wealthy enough to afford their own libraries; each desiring the latest hagiographies as well as beautifully illustrated synaxeries. The former are especially prized because churches often form headquarters to particular saints (in the same manner as Canterbury Cathedral to Thomas Becket). So, whilst parish churches have always existed, a far looser ecclesiastical model still predominates in which nation-wide crowds visit the same destination-churches to celebrate the big saints’ days. The largest festivals are not reserved for the country’s holy men (like St George and Moses the Black) or women (such as Gadla Krestos Samra), however. Instead, in an odd journey from Anglo-Norman England and France via Syria, it is the Virgin Mary who dominates the show. Her huge reputation (mainly as an intercessor) is largely owed to Ethiopia’s talent for absorbing the twelfth-century Miracles of the Virgin Mary, after a medieval journey of over 3,700 miles. Texts weren’t the only items that travelled. One of Ethiopia’s greatest churchmen was not Ethiopian, but an Arab Muslim who arrived during the reign of Dawit II (r. 1507-40). Originally called Salik, he converted to Christianity (becoming a monk under the name of Embakom) and eventually rose to become the abbot of Debra Libanos. The author of an apologetic text, Ankasa Amin (Gateway of the Faith), he sought to demonstrate the universality of the Gospels as opposed to the limited appeal of Mohammad; to defend the theology of the Trinity against the Islamic attack that it compromised the notion of tawhid; to defend the use of images, and so on. Somehow also finding the time to translate secular works too, one of his greatest achievements was Baralam and Yewasef, a Christianised recension of Buddha and the Bodhisattva. To conclude, the second country (following Armenia) to proclaim Christianity as the state religion under King Ezana was always going to be of interest to the Roman Empire (whose own official conversion didn’t come until the Edict of Thessalonica, AD 380). But the sheer intensity and persistence of these cultural contacts, like Roman ripples still unfurling upon a Red Sea shore, was hardly foreseeable. What started with a religious conversion soon snowballed into strategic alliances, identical legal codes and familiar modes of art, thus forging Ethiopia into a peculiarly Byzantine slice of Africa.